1788 – HMS Supply of the First Fleet arrives in Botany Bay. HMS Supply accompanied the First Fleet's flagship HMS Sirius as an armed tender. A two-masted brig of 170 tons burthen, she was the smallest and fastest ship in the fleet. Built in 1759 in a Thames-side shipyard, the Supply set sail with the fleet from Portsmouth on 12 May 1787. Aboard were approximately 43 crew and 16 marines. She was commanded by Lieutenant Henry Lidgbird Ball, with 2nd Lieutenant William Dawes in command of the Marines. HMS Supply. Marine artist Frank Allen. On 18 January 1788, the Supply reached Botany Bay, with the Friendship, the Scarborough and the Alexander arriving the following day. Even the 'slower' ships had kept up, and a day later they too were at anchor in Botany Bay. With no fresh water and little shelter for ships, the bay was unsuitable for a settlement, and Phillip took the fleet north to Port Jackson, going ashore there on 26 January. The Supply and Friendship at anchor after entering Botany Bay on 18 January 1788, and the Sirius with her convoy coming into Botany Bay 20 January 1788. By Charles Gore. State Library of NSW. The Supply went on to make 11 voyages from Sydney Cove in the next three years. On 14 February she took a party led by Philip Gidley King to Norfolk Island to start a settlement there, discovering Lord Howe Island and Ball's Pyramid on the way. She returned to Lord Howe Island in May to catch turtles as a cure for the scurvy afflicting people in Sydney, but none were to be found. There were more voyages to take supplies to Norfolk Island and catch turtles on Lord Howe Island until 5 March 1790, when she left with the Sirius to deliver convicts to Norfolk. 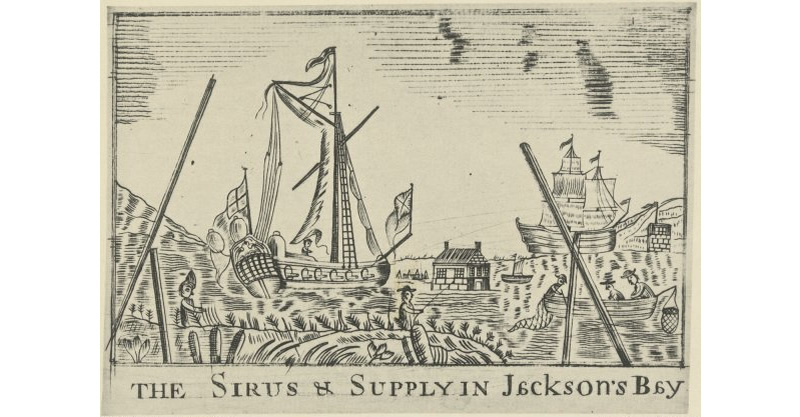 The Sirius and Supply in Jackson's Bay, circa 1789. National Library of Australia. HMS Supply became the only link with the outside world after the loss of the HMS Sirius in 1790. On 17 April, Ball left Sydney in the Supply for Batavia, ordered to procure eight months' provisions there. The Supply returned on 19 October, followed two months later by the Dutch transport Waakzaamheid, which Ball had engaged. 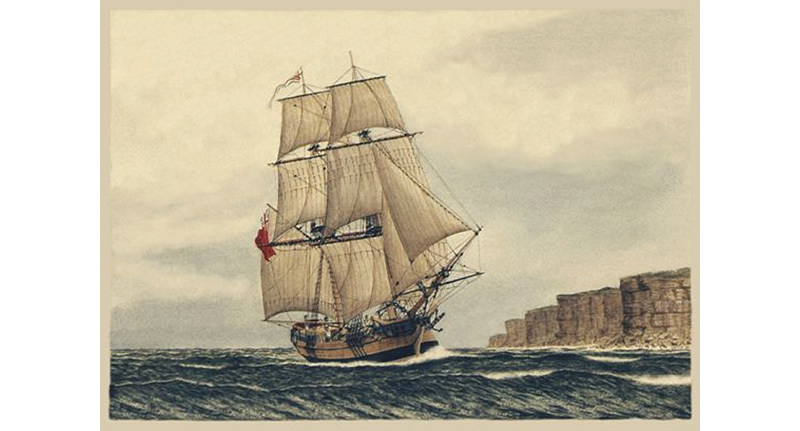 There was a further voyage to Norfolk Island in January and February 1791 to bring back the stranded crew of the Sirius, and another from March to May. The Supply returned so damaged by this final voyage that she was ordered back to England. Deputy Judge Advocate recorded that 'The services of this little vessel had endeared her, and her officers and people, to this colony'. Commanded by Captain John Hunter, the Supply left Sydney on 26 November with a kangaroo on board as a gift for King George III, reaching Plymouth on 21 April 1792. She was sold at auction on 17 July, renamed the Thomas and Nancy, and carried coal in the Thames area until about 1806. Her name would live on between 1962 and 1985 in the Royal Australian Navy's replenishment oiler HMAS Supply. ……Their only hope for longer term survival lay with the little brig, the Supply, now leaky and worn out. Supply was to make a run for the closest town, Batavia (now called Jakarta ) in Indonesia. The Supply's hold could store very little, but its Captain could buy food and commission another ship to bring it back. ….On 13 May at Sydney Cove, Joseph Owens, a convict and the oldest man on the First Fleet, died of hunger. Younger convicts had cheated him out of his rations. The Supply struggled back to Sydney on 18 October, carrying a precious cargo of food. In Batavia, a terrible fever had been raging and several of the Supply's officers had died there. Most of the crew were ill when they arrived back in Sydney and the ship was in such a bad state that Governor Phillip dared not send it to sea again. The good news was that a Dutch ship, the Waaksamheyd, was due in a few weeks, carrying 171 barrels of beef, 172 barrels of pork, seventy thousand pounds (that's almost 32 tonnes) of rice, one thousand pounds (that's 454 kilos) of sugar and 39 barrels of flour - all bought in Batavia. 1878 – Construction of the original Ghan railway line starts in Port Augusta, South Australia. Construction of what was then known as the Port Augusta to Government Gums Railway began in 1878 when Premier of South Australia Sir William Jervois broke ground at Port Augusta. South Australia Advertiser Saturday 19 January 1878. See here. Yesterday Sir W. F. D. Jervois turned the first sod of the Port Augusta and Government Gums Railway in the presence of a large and highly representative gathering, composed of members of both branches of the Legislature and most of the leading men of the district. Port Augusta made the occasion one of high festivity, and did honour to the event and to Her Majesty's representative by putting on her gayest attire and making her appearance as pleasing and as picturesque as the character of the township and its surroundings would permit. It is fitting that a ceremony fraught with so much of deep and peculiar interest should be performed under such auspices, for it is difficult to realise all that may result from the initiation of a work of such magnitude and importance as the construction of this railway. It is the first instalment of a scheme which opens up immense possibilities — possibilities so great and so wide-spreading that it is unreasonable to suppose we can even imagine what they may be. This we know, that Port Augusta is the natural outlet for much of the trade of the interior of the Australian Continent, and in pushing a railway into the back country from this point we are beginning an undertaking that must have a marked influence on the future, and that will no doubt effect results of which we have no conception. At the present time this railway is the greatest work of the kind which we as a colony have set about. We justify the outlay by the advantages which it will confer on the farmers and the pastoral lessees along the route and elsewhere, and by the mineral deposits which it promises to open up. We have been told that the real mineral wealth of the colony will be found in our northern country, and that as soon as the railway is constructed we shall feel its enriching influence. These are the practical reasons which have induced our legislators to vote money for the construction of the railway, but beyond them are others -which though less immediately practical are not less certain to be realised. The railway is the first link in a line to connect the southern and northern seaboards of the Continent, and the progress which has been made during the last few years in these colonies unmistakeably tells us that a transcontinental railway will shortly be an accomplished fact. Such a line, with the branches which are sure quickly to spring into existence, means the throwing open to settlement of an immense area of country which would otherwise have been quite unapproachable. In this fact, and in the trade which may in consequence be established with the East, we have the possibilities of such development and such wealth as to exceed the imaginings of the most sanguine. The progress and prosperity may not all belong to South Australia, but hers will be no inconsiderable share. It cannot be otherwise when it is her enterprise that carries the locomotive across the continent as an appropriate sequel to the establishment "of telegraphic communication with the rest of the world. The Governor spoke both at the formal ceremony of turning the sod, and at a banquet which was subsequently held. On each occasion he delivered an essentially practical and very effective address. Fully realising the character of the proceedings, His Excellency alluded to the railway as "the most important work which has yet been undertaken in Australia," and stated that he had "no doubt Port Augusta will one day become one of the most flourishing towns, not only in South Australia but on the Australian continent." To His Excellency the arguments in favour of a transcontinental railway are overwhelming. To those “who Bay such a railway will lead to nowhere” he replies that it will lead everywhere; and we are disposed to think that this answer will prove surprisingly near the truth. His Excellency appreciates the importance of the trade outside the Australian colonies which the railway is likely to open up, and perceives that the possibilities in the matter are only bounded by the capabilities of the Anglo-Saxon race. A gentleman with such views was the proper person to perform a ceremony which will become an historical fact to be committed to memory in the schools of the future when the hopes of to-day are realised facts. We are glad that the undertaking has been inaugurated in such an eminently gratifying way, and we hope that the ending of the work may be as satisfactory as its beginning. The old mixed Ghan train approaching Oodnadatta, circa 1910. State Library of SA. The mixed Ghan at Puttapa Gap. After such grand commentary on 18 January 1878 when the first sod was turned, the narrow-gauge 3 ft 6 in line reached Hawker in June 1880, Beltana in July 1881, Marree in January 1884 and Oodnadatta in January 1891. Work on the extension to Alice Springs began in 1926, and was completed in 1929. Until then, the final leg of the train journey was still made by camel. Although there were plans from the beginning to extend the line to Darwin, by the time the extension to Alice Springs had been completed, The Ghan was losing money and the plans for further extension to Darwin were suspended indefinitely. On Sunday 4 August, 1929, an excited crowd gathered at the Adelaide Railway Station to farewell the first Ghan train. This train carried supplies and over 100 passengers bound for the remote town of Stuart, later to be called Alice Springs. An old Ghan steam train passing through flood waters. The original Ghan ran for the last time in 1980, and the Ghan Preservation Society repairs sections of the old narrow gauge track and some of the sidings. In October 1980, a new standard gauge line from Tarcoola to Alice Springs on the Trans-Australian Railway opened, and the train took the form it has today. The new line is approximately 160 kilometres west of the former line in order to avoid floodplains where the original line was often washed away during heavy rain. Old Ghan railway line, Oodnadatta. Old Ghan Museum, Alice Springs. The railway was so important back then to open up the country, but nowdays, it's hardly used. 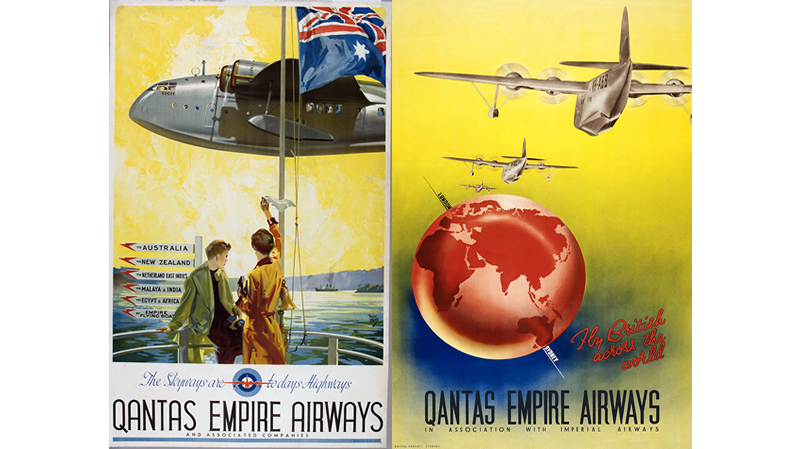 1934 – Qantas and Imperial Airways join forces and establish Qantas Empire Airways. Qantas Empire Airways Limited was established on 18 January 1934 by the two airlines responsible for the Australia-London run, Australia's QANTAS Limited and Britain's Imperial Airways. In 1947 the Australian Government purchased the shares of the company previously owned by QANTAS Limited, making it the sole shareholder. Qantas Empire Airways therefore became a limited liability company until 1 August 1967 which saw a name change for the company, becoming Qantas Airways Limited. 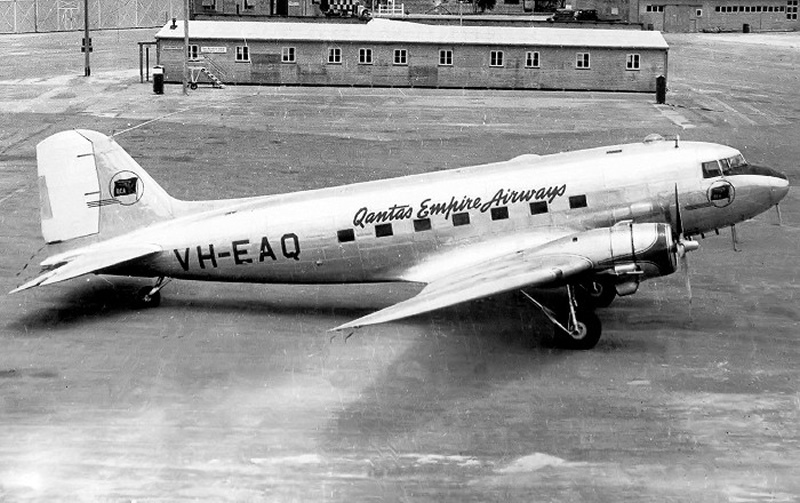 Qantas Empire Airways commenced operations in December 1934, flying between Brisbane and Darwin. QEA flew internationally from May 1935, when the service from Darwin was extended to Singapore using newer de Havilland DH.86s. Imperial Airways operated the rest of the service through to London. In July 1938 this operation was replaced by a thrice weekly flying boat service using Shorts S.23 Empire flying boats. The Sydney to Southampton service took nine days, with passengers staying in hotels overnight. For the single year of peace that the service operated, it was profitable and 94% of services were on time. 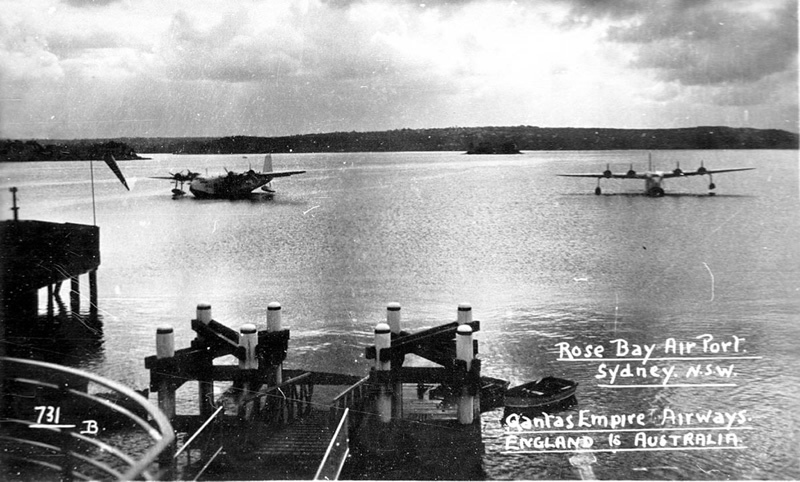 Qantas Empire Airways International seaplane flights arriving at Rose Bay, circa 1939. After Italy entered the war in June 1940, this became the Horseshoe Route between Sydney and Durban in South Africa with the South Africa – UK stage being by sea. This service was a vital line of communication between Australia and the United Kingdom and lasted through until Singapore fell in February 1942. Enemy action and accidents destroyed half of the fleet of ten, when most of the fleet was taken over by the Australian government for war service. Qantas Empire Airways - in the original livery at Mildura Airport, date unknown. Shortly after nationalisation in 1947, QEA began its first services outside the British Empire-to Tokyo via Darwin and Manila with Avro Lancastrian aircraft. These aircraft were also deployed between Sydney and London in co-operation with BOAC, but were soon replaced by Douglas DC-4s. Services to Hong Kong began around the same time. 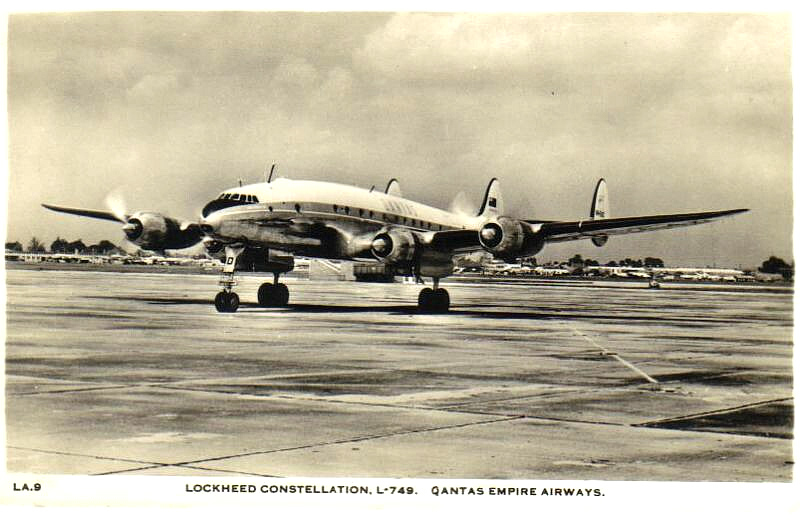 In 1947 the airline took delivery of Lockheed L-749 Constellations and these took over the trunk route to London. Flying boats again entered the fleet from 1950, when the first of five Short Sandringham aircraft entered service for flights between the Rose Bay flying boat base on Sydney Harbour and destinations in New Caledonia, New Hebrides, Fiji, New Guinea (dubbed the "Bird of Paradise" route) and Lord Howe Island. 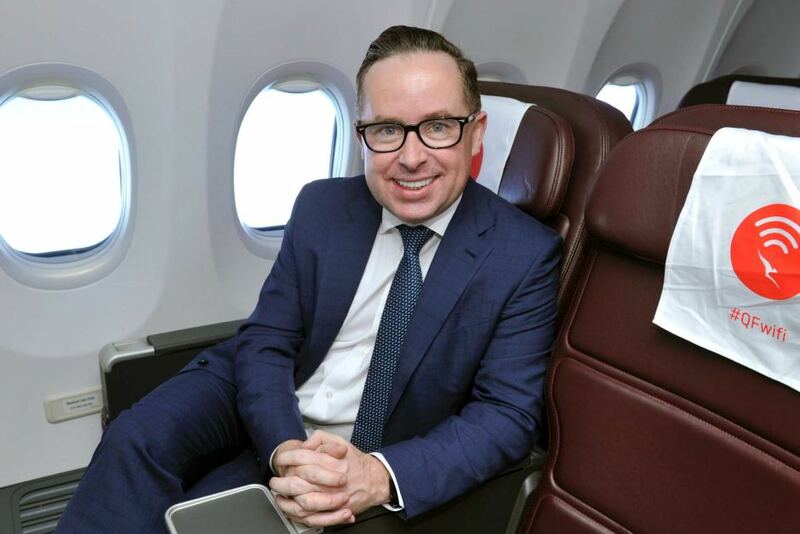 The way Alan Joyce has turned this around from doom to glory is nothing but miraculous. 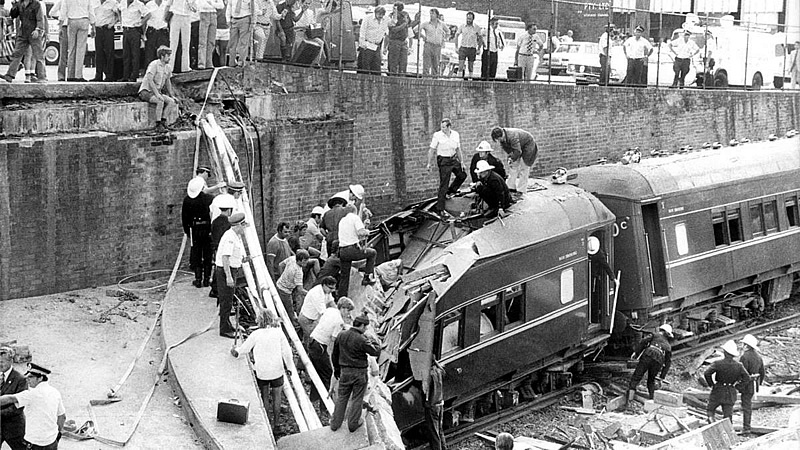 1977 – A train derailment and bridge collapse kills 83 in the Granville railway disaster. 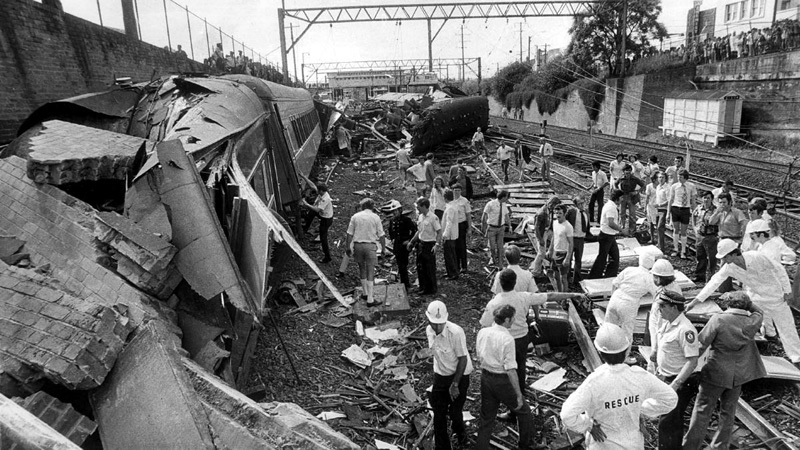 The Granville rail disaster occurred on Tuesday 18 January 1977 at Granville, a western suburb of Sydney, Australia, when a crowded commuter train derailed, running into the supports of a road bridge that collapsed onto two of the train's passenger carriages. 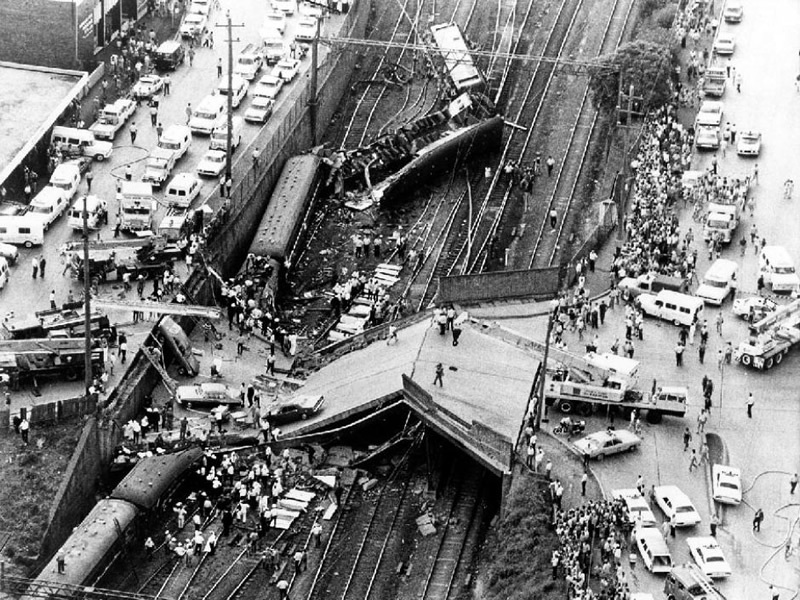 It is the worst rail disaster in Australian history: 84 people died, more than 210 were injured, and 1,300 were affected. The crowded Sydney-bound eight carriage commuter train, having left Mount Victoria in the Blue Mountains at 6:09am, was hauled by a New South Wales 46 class locomotive, No. 4620. It was approaching Granville railway station when it left the rails at approximately 8:10 am and hit a row of supports of the overhead Bold Street bridge, which were constructed out of steel and concrete. The derailed engine and first two carriages passed the bridge. The first carriage broke free from the other carriages. Carriage one was torn open when it collided with a severed mast beside the track, killing eight passengers. The remaining carriages ground to a halt with the second carriage clear of the bridge. The rear half of the third carriage, and forward half of the fourth carriage, came to rest under the weakened bridge, whose weight was estimated at 570 tonnes. Within seconds, with all its supports demolished, the bridge and several motor cars on top of it crashed onto the carriages, crushing them and the passengers inside. Of the total number of passengers travelling in the third and fourth carriages, half were killed instantly when the bridge collapsed on them, crushing them in their seats. Several injured passengers were trapped in the train for hours after the accident. The train driver, the assistant crewman, the "second man", and the motorists driving on the fallen bridge all survived. The rescue operation lasted from 8:12 am Tuesday until 6:00 am Thursday. Ultimately, 83 people lost their lives in the accident. Remember it well, a close relative took the earlier train. 2003 – The Canberra bushfires reach the city, killing four people and destroying in excess of 400 houses. 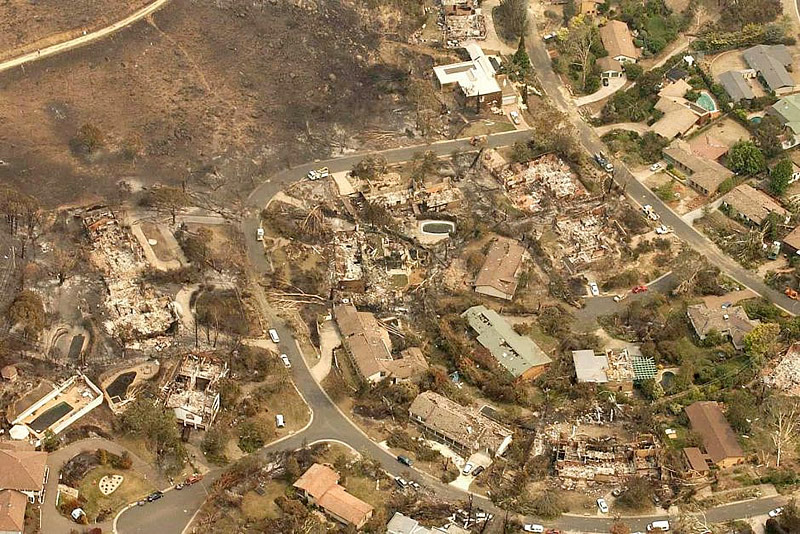 The 2003 Canberra bushfires caused severe damage to the suburbs and outer areas of Canberra, the capital city of Australia, during 18–22 January 2003. 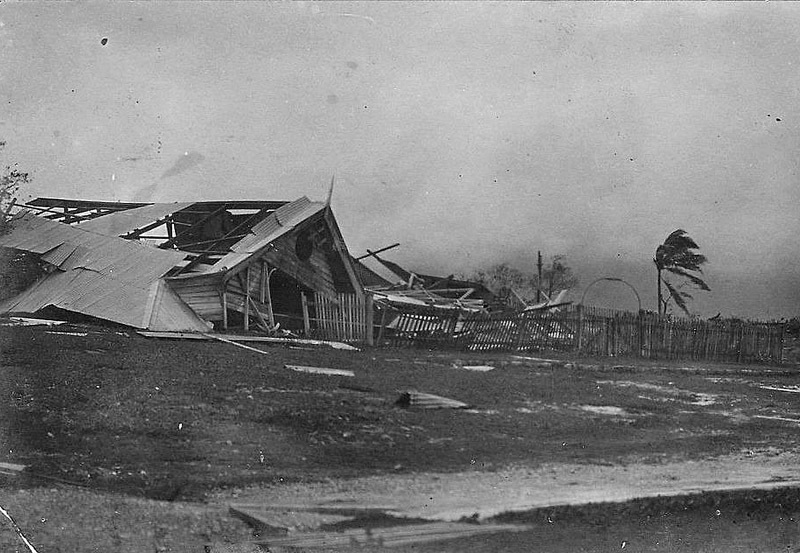 Almost 70% of the Australian Capital Territory's pastures, pine plantations, and nature parks were severely damaged, and most of the Mount Stromlo Observatory was destroyed. 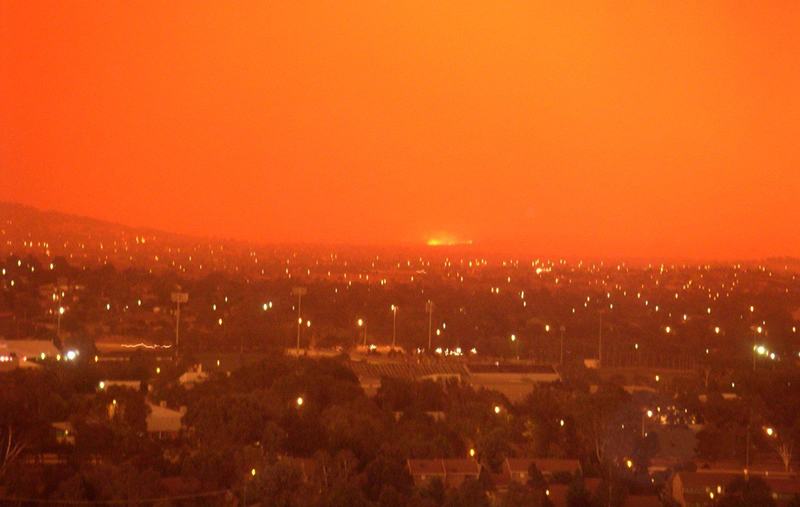 After burning for a week around the edges of the ACT, the fires entered the suburbs of Canberra on 18 January 2003. Over the next ten hours, four people died, over 490 were injured, and more than 500 homes were destroyed or severely damaged, requiring a significant relief and reconstruction effort. The morning of Saturday 18 January 2003 was hot, windy and dry. Temperatures as high as 40 °C and winds exceeding 80 kilometres per hour, plus a very low relative humidity, were the main weather features of the day. Two fires continued to burn out of control in the Namadgi National Park, with the entire park, along with the Tidbinbilla Nature Reserve, being closed due to the threat. A second fire, in the Brindabella Ranges, was threatening to break containment lines. Canberra's suburban hills engulfed in flames during the bushfires. Throughout the day, the fires burned closer to the fringes of Canberra's suburbs, and there was no sign of authorities gaining control of the situation. At around 2 pm, police evacuated the township of Tharwa to the south of Canberra. 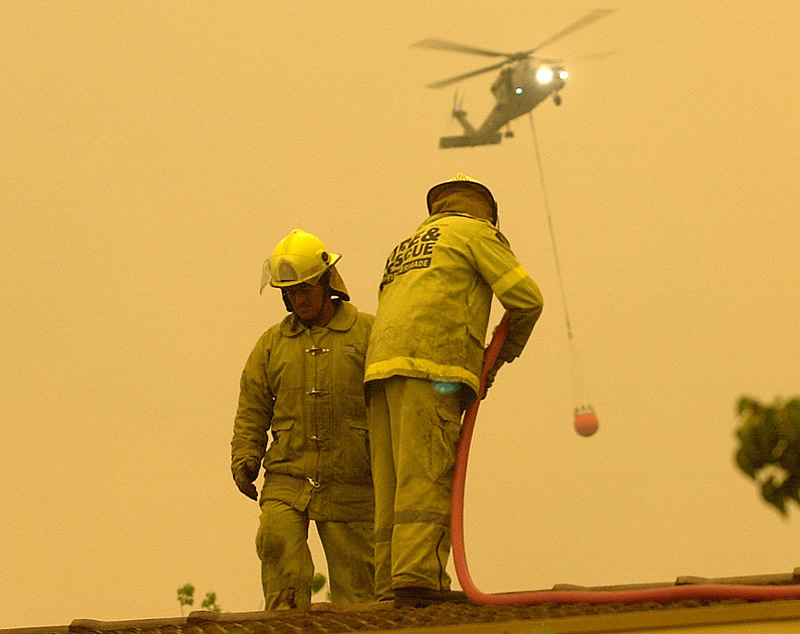 By mid-afternoon, it had become apparent that the fires posed an immediate threat to the settlements near Canberra, such as Uriarra and Stromlo, as well as to the houses on the city's urban-bushland interface. A state of emergency was declared at 2.45 pm. The fires reached the urban area at 3 pm. By 3.50 pm, some houses were alight in the suburbs of Duffy and Chapman. By 5 pm, houses were reported destroyed in Duffy, Chapman, Kambah, Holder, and Rivett, as well as in the small forestry settlement of Uriarra. Fire spread through parkland, crossing the Tuggeranong Parkway and Sulwood Drive finally engulfing Mount Taylor. Within an hour, houses were also burning in Torrens, on the slopes of Mount Taylor, and in Weston. The fires by now had inflicted severe damage to the city's infrastructure. Power supplies were cut to several suburbs. These outages affected both the Emergency Services Bureau's own headquarters in Curtin and the Canberra Hospital (running on back-up generators), which was under intense pressure from people suffering burns and smoke inhalation. ACTFB firefighters hosing down the roof of the Emergency Services Bureau. By 10 pm, one of the four evacuation centres in Canberra was completely full, and the others were filling up quickly. Both Prime Minister John Howard and Governor General Peter Hollingworth changed their plans to return to Canberra as soon as was possible. By the evening of 19 January, it was clear that the worst-hit suburb was Duffy, where 200+ residences were destroyed, and that four people had died. The loss of life, damage to property, and destruction of forests to the west of the city caused not just economic loss but significant social impacts. 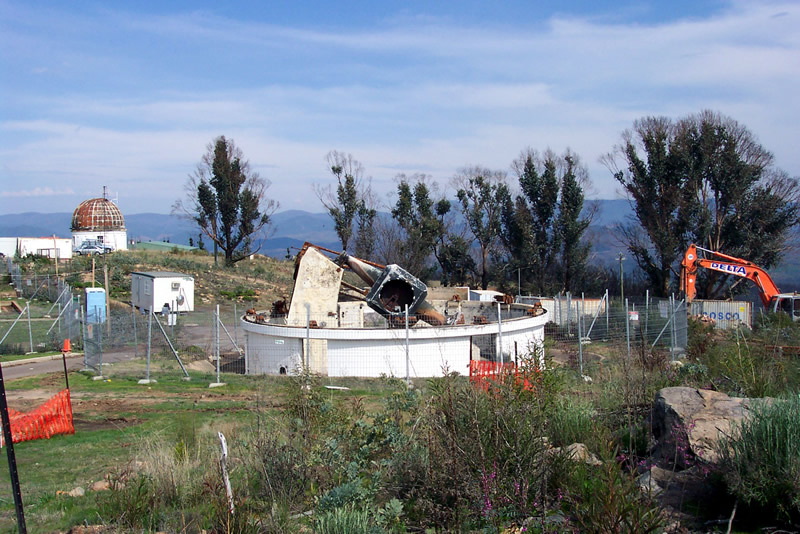 The burnt-out remains of the Mount Stromlo Observatory a year after the fires. Perhaps the most notable cultural and scientific loss caused by the fires was the damage to the scenic and renowned Mount Stromlo Observatory, which is estimated to be the source of a third of Australia's astronomical research. Five historically significant telescopes were destroyed. Instrumentation and engineering workshops, the observatory's library, and the main administration buildings were consumed. They must be worried at the moment, heatwave currently in Canberra again. The Euphronios Krater is an ancient Greek terra cotta calyx-krater, a bowl used for mixing wine with water. Created around the year 515 BC, it is the only complete example of the surviving 27 vases painted by the renowned Euphronios and is considered one of the finest Greek vase artifacts in existence. Part of the collection of the Metropolitan Museum of Art from 1972 to 2008, the vase was repatriated to Italy under an agreement negotiated in February 2006, and is now in the collection of the Archaeological Museum of Cerveteri as part of a strategy of returning works of art to their place of origin. After its return, it was unveiled in Rome on 18 January 2008. 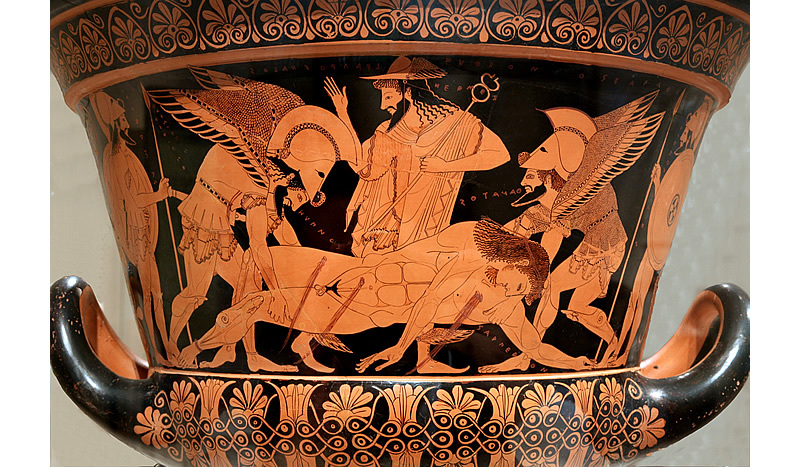 Front side depicting Sarpedon’s body carried by Hypnos and Thanatos (Sleep and Death), while Hermes watches. Euphronios (circa 535 - after 470 BC) was an ancient Greek vase painter and potter, active in Athens in the late 6th and early 5th centuries BC. Euphronios was one of the most important artists of the red-figure technique. He is one of the first known artists in history to have signed his work. 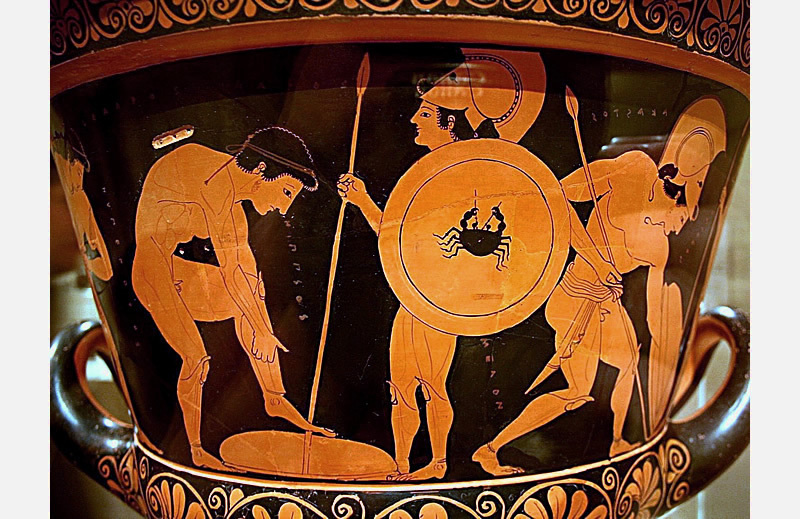 The style of the Euphronios krater is red-figure pottery, in which figure outlines, details, and the background are painted with an opaque black slip while the figures themselves are left in the colour of the unpainted terracotta ceramic clay. Reverse side depicting Athenian youths arming themselves. The Euphronios krater stands 45.7 centimetres in height and has a diameter of 55.1 centimetres. It can hold about 45 litres. The krater is decorated with two scenes. 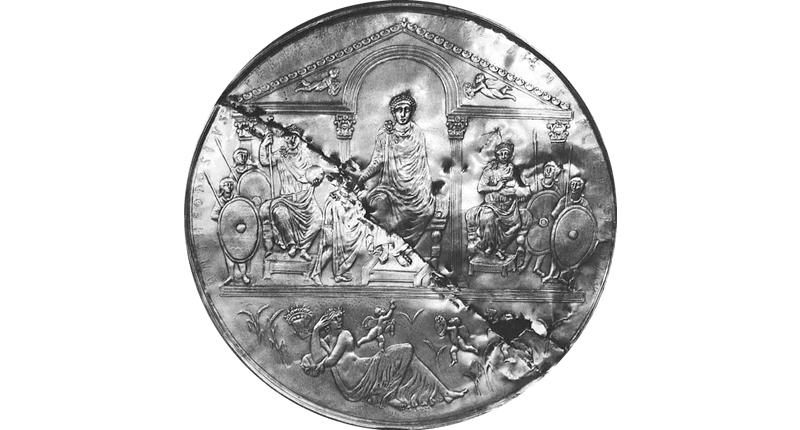 An episode from the Trojan War is shown on the obverse; this illustration depicts the death of Sarpedon, son of Zeus and Laodamia. The reverse of the krater shows a contemporary scene of Athenian youths from the sixth century BC arming themselves before battle. Last year New York's Metropolitan Museum sent back to Italy the Euphronios krater, the great sixth-century BC painted vase it had acquired under dubious circumstances in 1972 for a million bucks. (In inflation-adjusted currency, that's about $5 million today.) It's among the most important looted antiquities returned to its place of origin. Theodosius I (347–395), also known as Theodosius the Great, was Roman Emperor in the east from 19 January 379 – 15 May 392 of the whole Roman Empire from from 15 May 392 – 17 January 395. Theodosius was the last emperor to rule over both the eastern and the western halves of the Roman Empire. On accepting his elevation, he campaigned against Goths and other barbarians who had invaded the empire. He failed to kill, expel, or entirely subjugate them, and after the Gothic War, they established a homeland south of the Danube, in Illyricum, within the empire's borders. He fought two destructive civil wars, in which he defeated the usurpers Magnus Maximus and Eugenius at great cost to the power of the empire. From 364 to 375, the Roman Empire was governed by two co-emperors, the brothers Valentinian I and Valens; when Valentinian died in 375, his sons, Valentinian II and Gratian, succeeded him as rulers of the Western Roman Empire. In 378, after the disastrous Battle of Adrianople where Valens was killed, Gratian invited Theodosius to take command of the Illyrian army. As Valens had no successor, Gratian's appointment of Theodosius amounted to a de facto invitation for Theodosius to become co-Augustus of the East Roman Empire. After Gratian was killed in a rebellion in 383, Theodosius appointed his own elder son, Arcadius, to be his co-ruler in the East. After the death in 392 of Valentinian II, whom Theodosius had supported against a variety of usurpations, Theodosius ruled as sole Emperor. The Missorium of Theodosius I is a large ceremonial silver dish preserved in the Real Academia de la Historia, in Madrid, Spain. It was probably made in Constantinople for the tenth anniversary of his reign. Theodosius I issued decrees that effectively made Orthodox Nicene Christianity the official state church of the Roman Empire. He neither prevented nor punished the destruction of prominent Hellenistic temples of classical antiquity, including the Temple of Apollo in Delphi and the Serapeum in Alexandria. He dissolved the order of the Vestal Virgins in Rome. In 393, he banned the pagan rituals of the Olympics in Ancient Greece. After his death, Theodosius' young sons Arcadius and Honorius inherited the east and west halves respectively, and the Roman Empire was never again re-united, though Eastern Roman emperors after Zeno would claim the united title after Julius Nepos' death in 480 AD. Theodosius the Great was the last Roman Emperor to rule a united Roman Empire. He established Christianity as the state religion and successfully defended it against paganism. Very important man in the eyes of the Christian church. Sten Sture the Younger, Lord of Ekesio (1493–1520), was a Swedish statesman and regent of Sweden, during the era of the Kalmar Union. He was born in 1493, as the son of regent Svante Nilsson, a descendant of the Sture of Ekesio family. He later chose to adapt the Sture name for political purposes, despite only being distantly related. At the death of his father, young Sten was only 18 years old. High Councillor Eric Trolle was chosen as regent by the council — he supported union with Denmark. However, young Sten utilised the castles and troops fiefed to him by his late father and staged a coup. After Sten promised to continue union negotiations with Denmark, the High Council accepted him as regent instead of Trolle. In reality, lord Sten's purpose was to keep Sweden independent of Denmark. Regent Sten knew that sooner or later, a war with Hans of Denmark, who died in 1513, or his son and successor Christian II would be inevitable. Therefore, he in 1513 agreed to a truce with Russia. A conflict also arose between Regent Sten and archbishop Gustav Trolle, son of Eric Trolle. The archbishop claimed more autonomy for the church so Regent Sten had the archbishop deposed and imprisoned. Christian II did initiate an invasion of Sweden. In the last part of this war defending his country against Denmark, Regent Sten was mortally wounded at the battle of Bogesund on 19 January 1520, and died on the ice of Lake Malaren on his way back to Stockholm. The Death of Sten Sture the Younger on the ice of Lake Malaren. Painting by Carl Gustaf Hellqvist, 1880. Christian II of Denmark was enthroned in Sweden and archbishop Gustav Trolle had his revenge against supporters of Sture and against those who deposed him: he listed those enemies and accusations against them, dubbing them as heretics. King Christian II had the accused executed at the Stockholm bloodbath in late 1520, including Sten Sture's corpse which was desecrated as a heretic's body and burnt at the stake. There have been 11 Danish-Swedish wars between 1521 and 1814 but now they are firm friends. 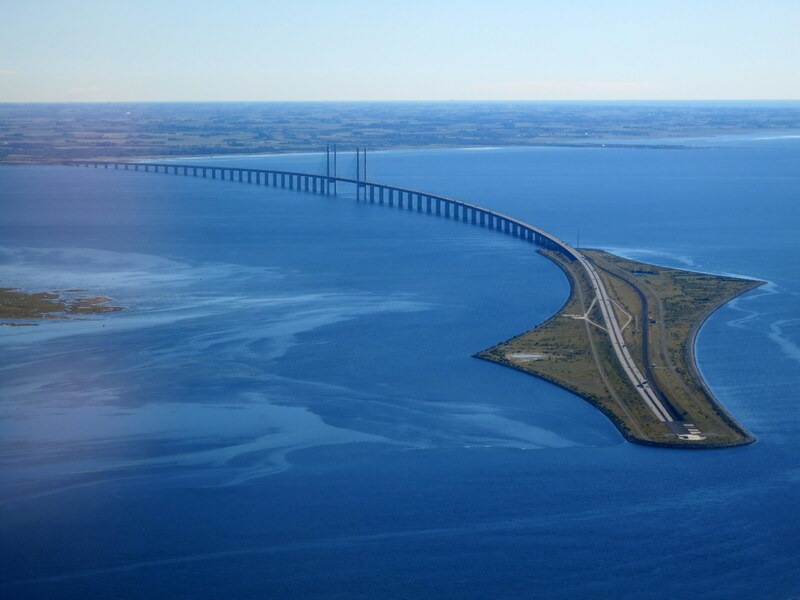 This amazing bridge turns Into a tunnel and connects Denmark and Sweden. The Øresund is an engineering marvel that connects the Danish capital of Copenhagen to the Swedish city of Malmö. ... The bridge and tunnel run across the Øresund strait and is jointly operated by the neighbouring states from both countries. What a spectacular feat of engineering, so unusual. Thanks Toot. 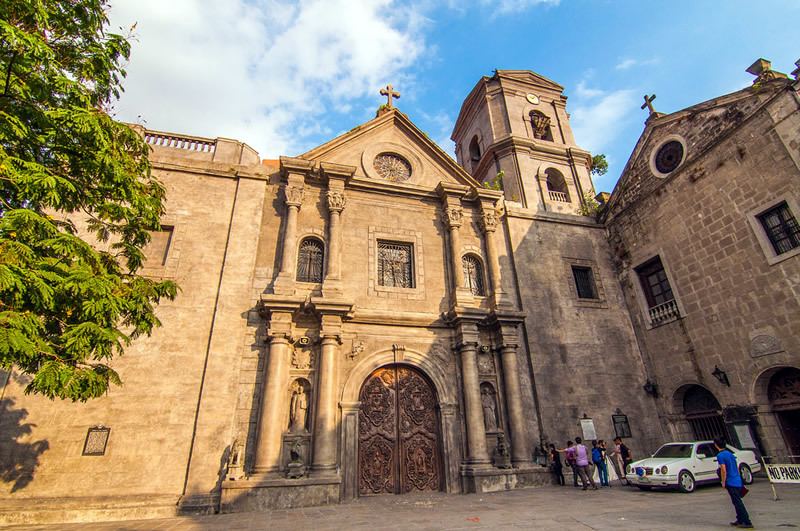 San Agustin Church is a Roman Catholic church under the auspices of The Order of St. Augustine, located inside the historic walled city of Intramuros in Manila and the oldest existing church in the Philippines. In 1993, San Agustin Church was one of four Philippine churches constructed during the Spanish colonial period to be designated as a World Heritage Site by UNESCO. It was named a National Historical Landmark by the Philippine government in 1976. The present structure is actually the third Augustinian church erected on the site. 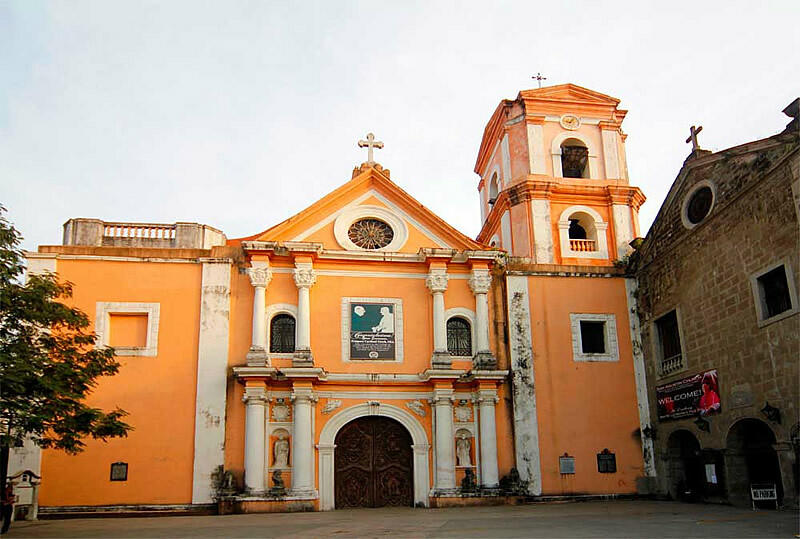 The first San Agustin Church was the first religious structure constructed by the Spaniards on the island of Luzon. Made of bamboo and nipa, it was completed in 1571, but destroyed by fire in December 1574 during the attempted invasion of Manila by the forces of Limahong. A second wooden structure built on the same site was destroyed in February 1583, by a fire that started when a candle ignited drapery on the funeral bier during services for Spanish Governor-General Gonzalo Ronquillo de Penalosa. The Augustinians decided to rebuild the church using stone, and to construct an adjacent monastery. Construction began in 1586, based on a design by Juan Macías. The structure was built using hewn adobe stones quarried from Meycauayan, Binangonan and San Mateo, Rizal. The work proceeded slowly due to the lack of funds and materials, as well as the relative scarcity of stone artisans. The monastery was operational by 1604, and the church was formally declared complete on 19 January 1607, and named St. Paul of Manila. Macías, who had died before the completion of the church, was officially acknowledged by the Augustinians as the builder of the edifice. San Agustin Church after the 1880 earthquake. 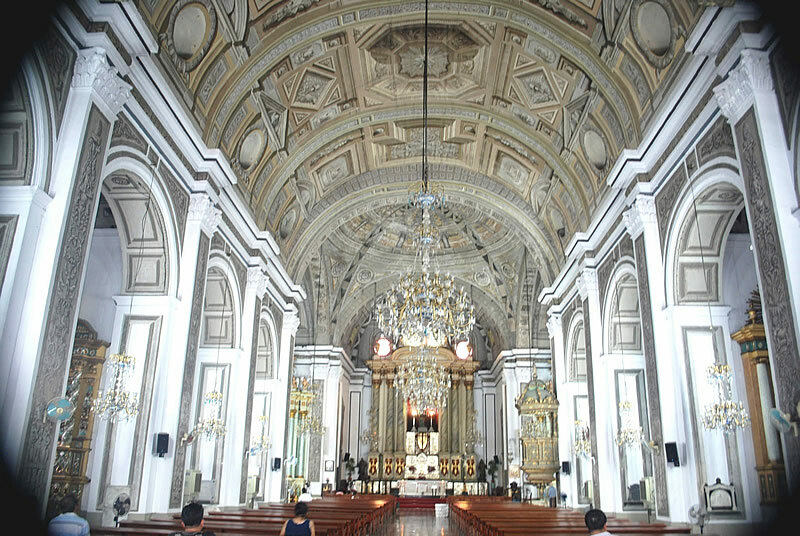 San Agustin Church was looted by the British forces who occupied Manila in 1762 during the Seven Years' War. In 1854, the church was renovated under the supervision of architect Luciano Oliver. 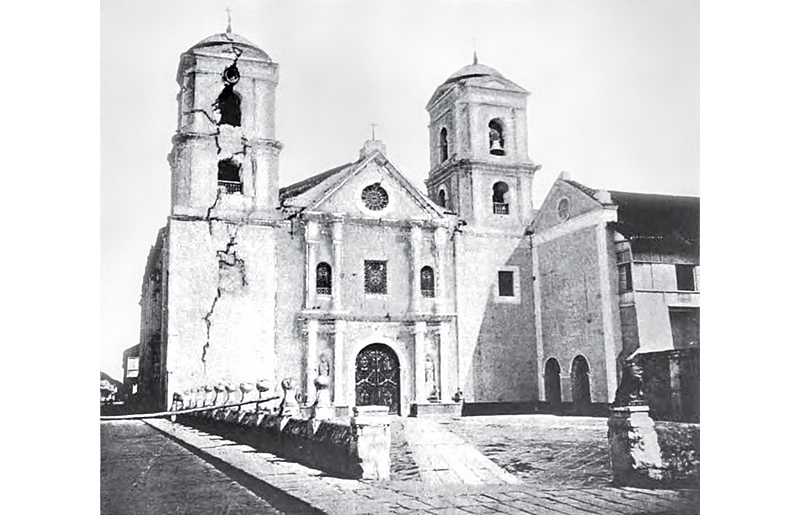 On 3 June 1863, the strongest earthquake at that time, hit Manila leaving widespread destruction to the city with San Agustin Church, the only public building left undamaged. The church withstood the other major earthquakes that struck Manila before in 1645, 1699, 1754, 1796, 1825, 1852, 1863 and 1880 and served as a hospital for several of those injured during the earthquake in 1863. War damaged San Agustin Church and monastery, 1945. On 18 August 1898, the church was the site where Spanish Governor-General Fermin Jaudenes prepared the terms for the surrender of Manila to the United States of America following the Spanish–American War. During the Japanese occupation of World War II, San Agustin Church became a concentration camp. The church itself was the sole survivor of the seven churches of Intramuros to survive the levelling by combined American and Filipino ground forces in May 1945. While the church sustained damage to its roof, the adjacent monastery was completely destroyed. In the 1970s it was rebuilt as a museum. The church was renovated in 2013, replacing its colourful facade with a mature stone-coloured one (first picture above). The Philippines proudly boasts to be the only Christian nation in Asia. More than 86 percent of the population is Roman Catholic, 6 percent belong to various nationalized Christian cults, and another 2 percent belong to well over 100 Protestant denominations. In addition to the Christian majority, there is a vigorous 4 percent Muslim minority, concentrated on the southern islands of Mindanao, Sulu, and Palawan. Source. The Philippines proudly boasts to be the only Christian nation in Asia. ….but 2,000 are uninhabited and only 500 are bigger than one square kilometre. 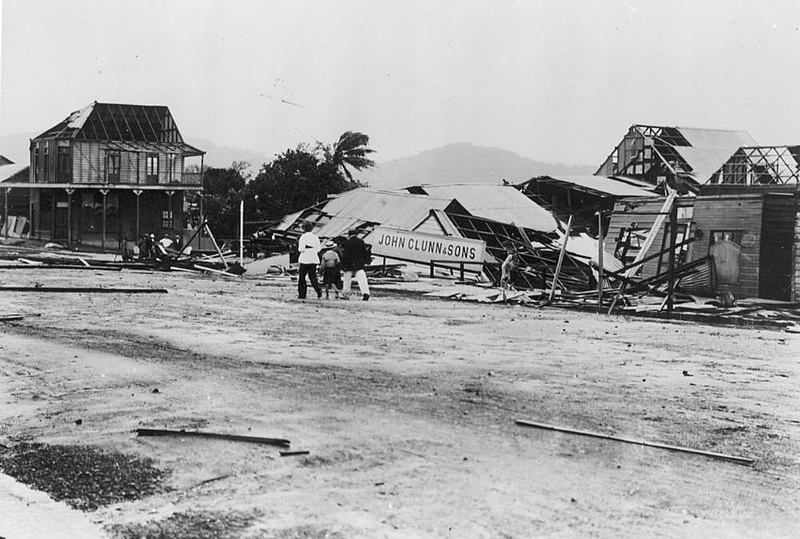 1907 – A tropical cyclone hits Cooktown, Queensland, devastating the town. On Friday afternoon 18 January 1907 the barometer began to fall and the weather set in and during the night. On Saturday, 19 January 1907, it began to blow heavily and the wind increased in violence during the day. The municipal baths had collapsed over night, the balcony of the Shamrock hotel was blown down and the streets were littered with limbs of trees. The barometer was still falling with the wind increasing and at noon on Saturday the roofs and balconies of the buildings began to give way. At 4 pm the Masonic Hall, a two story building, was blown down and the Boys and Girls State Schools were removed bodily from their blocks. Remains of the Masonic Hall. Between 5 pm and 8 pm it raged furiously wrecking the greater part of the town. The RC Church was demolished and the convent and school were unroofed. The roof of the drapery shop was ripped off and fell on a store which immediately collapsed. The Presbyterian Church became a tangled mass of iron and timber and the top story of the Edinburgh Hotel was blown away. The roofs and balconies of Commercial, Captain Cook, Sovereign, Great Northern, Club House, Shamrock, New Guinea, Court House and Carleton Hotels were torn off. Clunn’s bulk store at the wharf was demolished and a large water tank for shipping was toppled over. The Council Chambers, wharf sheds, Church of England and rectory, Methodist Church and parsonage, Federal Hall, Westcott's and Savage's were more or less unroofed, while nearly all the private residences were either completely razed to the ground or rendered uninhabitable. Article from the Daily Mercury in Mackay, 22 January 1907. 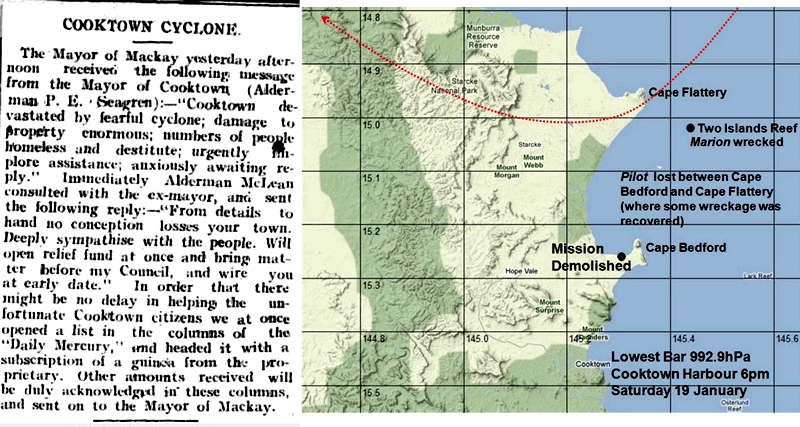 Track map and details of the 1907 cyclone. The gale blew for thirty hours and was accompanied by torrents of rain, with over 297 mm being registered. The Cook District Hospital which is situated on the outskirts of the town suffered considerably. One ward was completely destroyed and in fact not a vestige of it could be seen. Evanson’s boatshed 80ft long by 40ft was completely destroyed as was the Customs boatshed. The Fire station was demolished. Two of Evanson’s boats dragged their anchors and were ultimately blown out to sea and wrecked off Indian Head. Mr Evanson’s private residence was wrecked. • Two spans of the Endeavour Bridge had been washed away. • An infant girl was killed by flying debris. • The Schooner Marion was wrecked on Two Islands, eastward of Cape Flattery. Its crew were rescued. Can't understand why people live in these areas. 1957 – The Argus newspaper appears for the last time. The Argus was a morning daily newspaper in Melbourne, Australia that was established in 1846 and closed down in 1957. It was considered to be the general Australian newspaper of record for this period. Widely known as a conservative newspaper for most of its history, it adopted a left-leaning approach from 1949. The Argus's main competitor was David Syme's more liberal-minded The Age. The Argus made history in 1952 when it became the first newspaper in the world to publish full colour. The first full-colour back page published by The Argus. The newspaper was originally owned by William Kerr, a journalist who had worked with the Sydney Gazette before moving to Melbourne in 1839 to work on John Pascoe Fawkner's Port Phillip Patriot. The first edition was published on 2 June 1846. The paper was soon known for its scurrilous abuse and sarcasm, and by 1853, Kerr had lost ownership through a series of libel suits. The paper was then published under the name of Edward Wilson. The paper become a stablemate to the weekly The Australasian, which was to become The Australasian Post in 1946. The final issue of The Argus on 19 January 1957. In 1949 the paper was acquired by the London-based Daily Mirror newspaper group. On 28 July 1952, The Argus became the first newspaper in the world to publish colour photographs in a daily paper. The paper also had interests in radio and, in 1956, the new medium of television. In 1957, the paper was discontinued and sold to the Herald and Weekly Times group, which undertook to re-employ Argus staff and continue publication of selected features, and HWT made an allocation of shares to the UK owners. 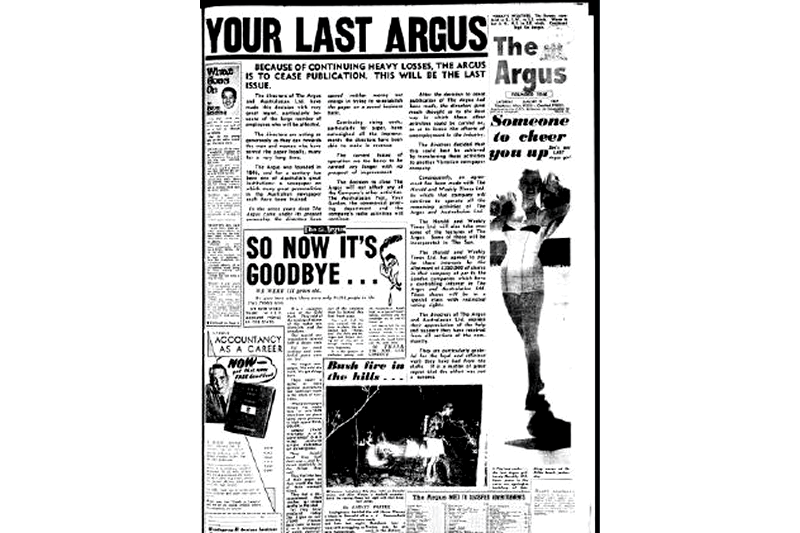 The final edition of The Argus was published on 19 January 1957. The company's other print and broadcasting operations were unaffected. 1975 – 2JJ, the predecessor of youth radio Triple J, commences broadcasting in Sydney. Triple J is a government-funded, national Australian radio station intended to appeal to listeners between the ages of 18 and 25 which began broadcasting in January 1975. The station places a greater emphasis on broadcasting Australian and alternative music compared to commercial stations. Triple J is government-owned and is a division of the ABC. 2JJ - the on-air team. Clockwise from top left, Graham Berry, Iven Walker, Holger Brockmann and Chris Winter in January 1975. Double Jay launch photo taken 4 days before the official launch. An early promotional poster for the station. Triple J started life as "Double Jay" or radio 2JJ. 2JJ commenced broadcasting at 11.00 am, Sunday 19 January 1975, at call sign 1540 kHz on the AM band. The new ABC station was given the official call-sign 2JJ, but soon became commonly known as Double J. The station was restricted largely to the greater Sydney region, and its local reception was hampered by inadequate transmitter facilities. However, its frequency was a clear channel nationally, so it was easily heard at night throughout south-eastern Australia. Double Jay's first broadcast demonstrated a determination to distinguish itself from other Australian radio stations. The first on-air presenter, DJ Holger Brockmann, notably used his own name, a deliberate reference to his former work for top-rated Sydney pop station 2SM. Owing to 2SM's restrictive policies at the time, Brockmann, whose real name was considered "too foreign-sounding", had been forced to work using the pseudonym "Bill Drake" in prior positions. After an introductory audio collage that featured sounds from the countdown and launch of Apollo 11, Brockmann launched the station's first-ever broadcast with the words, "Wow, and we're away! ", and then cued The Skyhooks' You Just Like Me 'Cos I'm Good in Bed. The Apple Lisa is a desktop computer developed by Apple, released on January 19, 1983. It was one of the first personal computers to offer a graphical user interface (GUI) in a machine aimed at individual business users. Development of the Lisa began in 1978, and it underwent many changes during the development period before shipping at the very high price of US$9,995 with a 5 MB hard drive. The high price, relatively low performance and unreliable "Twiggy" floppy disks led to poor sales, with only 100,000 units sold. Apple Lisa, with an Apple ProFile external hard disk sitting atop it. It had dual 5.25-inch "Twiggy" floppy drives. In 1982, after Steve Jobs was forced out of the Lisa project, he joined the Macintosh project, at that time developing a much more limited machine with a task-switching interface. Jobs redirected the Macintosh team to build a cheaper and better Lisa, releasing it in January 1984 and quickly outstripping Lisa sales. Newer versions of the Lisa were introduced that addressed its faults and lowered its price considerably, but it failed to achieve favorable sales compared to the much less expensive Mac. The final revision of the Lisa, the Lisa 2/10, was modified and sold as the Macintosh XL. Generally considered a failure, the Lisa nevertheless introduced a number of advanced features that would not reappear on the Macintosh for a number of years. Among these was an operating system which featured protected memory and a more document-oriented workflow. The hardware itself was also much more advanced than the Macintosh. :) I got my first Apple computer in 1987. 2004 – Cricketer David Hookes dies following an altercation outside the Beaconsfield Hotel in St Kilda. David William Hookes (3 May 1955 – 19 January 2004) was an Australian cricketer, broadcaster and coach of the Victorian cricket team. An aggressive left-handed batsman, Hookes usually batted in the middle order. 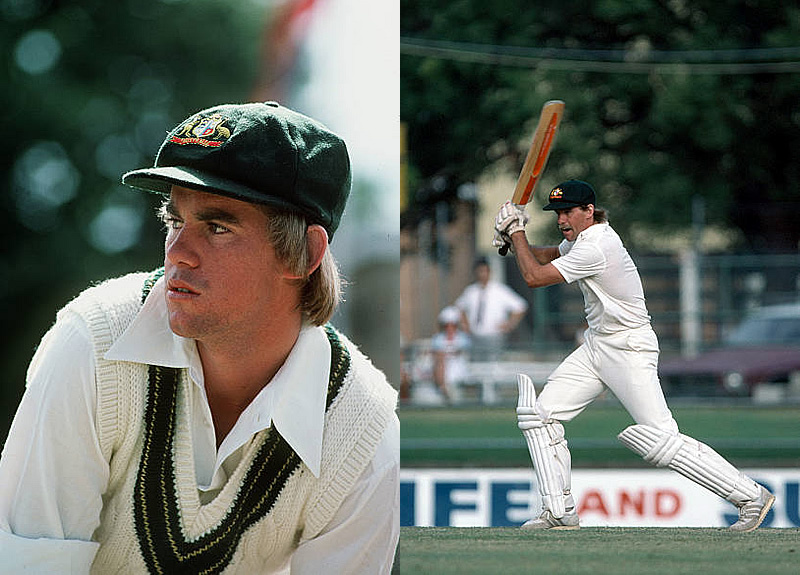 His international career got off to a sensational start in the Centenary Test at Melbourne in 1977 when he hit England captain Tony Greig for five consecutive boundaries, but a combination of circumstances ensured that he never became a regular in the Australian team. He wrote in his autobiography, "I suspect history will judge me harshly as a batsman because of my modest record in 23 Tests and I can't complain about that”. For many years, he was a leading figure in Australian domestic cricket, most notably in his role as captain of South Australia (SA). Wisden called him "a first-class destroyer of second-rate bowling". 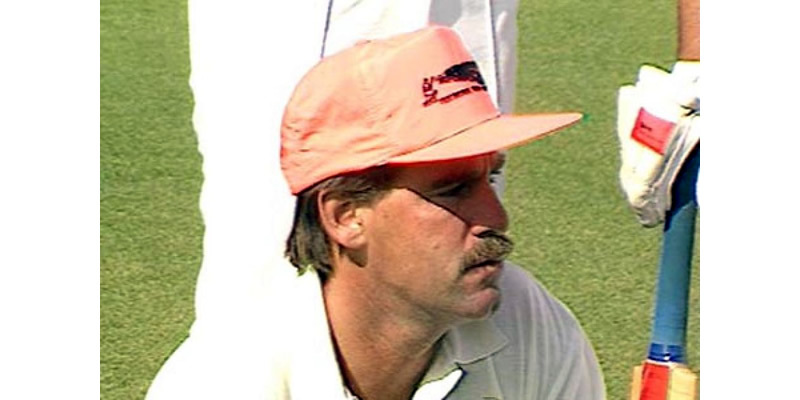 Angered by Victorian captain Graham Yallop's late declaration in a Sheffield Shield match at the Adelaide Oval in October 1982, Hookes, who normally batted at number 3 or 4, promoted himself to opening batsman and proceeded to score a century from 34 balls in just 43 minutes, including 18 fours and two sixes, at the time the fastest century scored in first-class cricket. He finished his career as the highest run-scorer in Sheffield Shield history. David Hookes before his testimonial match in 1991, in which he notched yet another century. An outspoken man who had several brushes with the game's officials, Hookes retired at the end of the 1991–92 season and pursued his media career. He moved to Melbourne in 1995 and broadcast on Radio 3AW. His popularity among players and his reputation for strong leadership led to his appointment as coach of the Victorian team in 2002. The team enjoyed success under his tutelage, but David Hookes died on 19 January 2004 after being punched by a hotel bouncer outside the Beaconsfield Hotel in St Kilda where he had been drinking with Victorian players following their victory in a match earlier in the day. 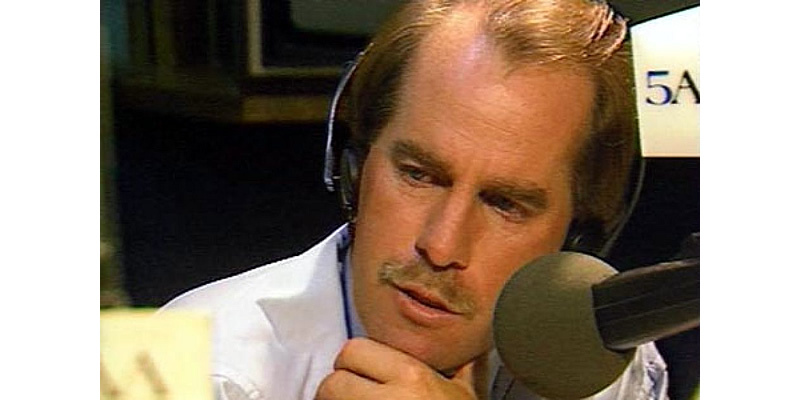 David Hookes also had a prominent role in the media, specialising in cricket on pay TV but also commenting on other sports for Melbourne radio. A memorial service was held on Adelaide Oval on 27 January 2004, attended by all members of the Australian, South Australia and Victoria cricket teams, as well as the Premier of Victoria, Steve Bracks. Attendance was estimated at 10,000. The Adelaide Oval is the pitch where he scored many of his 12,671 first-class runs and 20 of his 32 centuries. The bouncer, Zdravko Micevic was charged with manslaughter. The death of Hookes generated public outrage, with numerous death threats being received by Micevic and his lawyers. Micevic's home was also subjected to an arson attack. During Micevic's trial, witnesses gave conflicting testimony of what occurred and who started the fight. The jury acquitted Micevic. Business at the Beaconsfield Hotel plummeted and the hotel closed its doors at the end of 2004. David Hookes died on 19 January 2004 after being punched by a hotel bouncer outside the Beaconsfield Hotel in St Kilda where he had been drinking with Victorian players following their victory in a match earlier in the day.